For undergraduate and graduate courses in derivatives, options and futures, financial engineering, financial mathematics, and risk management. Bridge the gap between theory and practice. This title is a Pearson Global Edition. The Editorial team at Pearson has worked closely with educators around the world to include content which is especially relevant to students outside the United States. 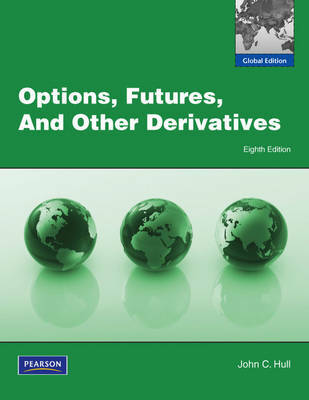 Designed to bridge the gap between theory and practice, this introductory text on the futures and options markets is ideal for those with a limited background in mathematics. The eighth edition has been updated and improved - featuring a new chapter on securitization and the credit crisis, and increased discussion on the way commodity prices are modeled and commodity derivatives valued.